Or continue reading for more details on our great tips and affordable parking strategies! 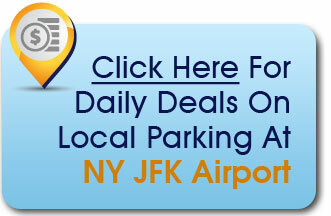 We make searching for cheap JFK airport long term parking easy and stress-free. At the end of the day, just a few extra minutes of your time to look at all the options could make a big impact on the prices you pay. The number one reason so many people choose to leave their vehicle at an off airport lot is because they offer lower cost long term parking at JFK. However, if you are not familiar with the local area, finding and comparing those independent lots might seem daunting. 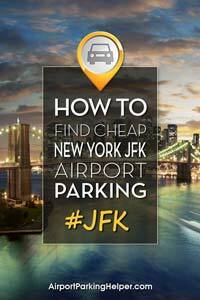 There are a couple of decent sites you can use to show you most of the parking lots near JFK Airport that offer pre-booking/reserving your parking online and reviews from fellows travelers — here's the one we recommend for listings of JFK lots all in one place. JFK discount coupon! If off-site lots work for you, enjoy our exclusive coupon code HELPER5 at checkout to save an extra $5 on your reservation! Of course, they all offer free shuttle services which will take you to and from the airport terminal as well. And it's important to note that the on-site JFK parking lots are nearly 4 miles away from the terminals anyway, so using these offsite vendors won't be much different, they just cost less. One of the best parts about this option is that many lots allow you to reserve a parking spot ahead of time so you don't have to stress about where to park when you arrive – which is something you cannot do at the least expensive on-site long-term lots at JFK. Parking is sometimes one of the most stressful parts of a trip to the airport and this pre-booking option certainly takes a lot of that away. You'll get an assigned space and can easily navigate right to it. 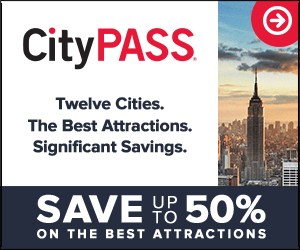 You will be able to book advance parking spaces at popular discount lots like SmartPark JFK, Park Plus Airport Parking, The Parking Spot, Airpark Kennedy and more… at rates ranging from $11.75 to $14.99 when you book online. If you are in need of long term parking, JFK monthly parking or longer, this is probably your best bet for savings as most of these rates are lower than the on-site lots. Examples of preferred JFK parking operators you can pre-book using our JFK offsite parking partner and save $5 on your reservation with code ‘HELPER5'. instant access & all-inclusive amenities. Believe it or not, there are also ways you can get free parking near JFK. You might not know this, but many hotels will offer free parking and free airport shuttles if you book just a one-night stay with them. Rather than call all the hotels individually, it's much more efficient to use a NY/JFK hotel comparison site like this one to do all the research for you on area hotels that offer this service. These are reputable hotels, like the Radisson and Holiday Inn, that are fairly close to the airport. EXTRA SAVINGS! If you choose a hotel option, use our coupon code HELPER15 at checkout to save an additional 15% on your deposit! This might work out great for you if you have a very early flight, you live far away from the airport or you plan on seeing some NYC sights the day before you leave. Generally, you only need to book the room for one night and you will have parking privileges for anywhere from 3-14 days; each hotel is different. You certainly don't want to be surprised upon your return with a large parking bill from a hotel that only allows you three days of free parking and you needed a week. Some also have max occupancy restrictions for the room so be sure to read the fine print. If you have been researching cheap JFK parking rates, especially for longterm car parking, it is definitely possible the cost of one night's hotel stay could be cheaper than several days parking at area lots. Of course, if you only need overnight parking, this won't be your best option. 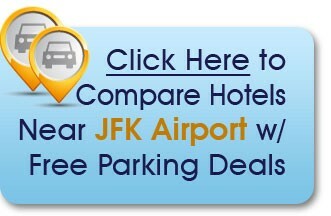 Sample hotels close to JFK you can book that offer free airport car parking with shuttle service. Try our JFK hotel partner to book online and save 15% on your deposit with code ‘HELPER15'. Another great alternative to paying expensive parking fees is to hop on a shuttle to JFK. Airport transportation services like this JFK shuttle company offer very reasonable round-trip or one-way fares from professional drivers who have been trained for safety. 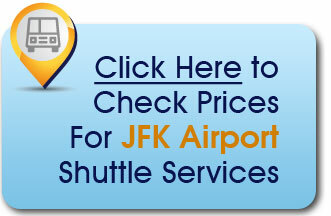 Many of the JFK airport shuttle service options are available 24 hours a day, seven days a week. You can also use them for airport transfers to/from JFK to Newark or LaGuardia airports if needed. Newark to/from Manhattan, Long Island and Westchester County are also popular options. Advanced booking is quick and easy online. You may choose to be picked up at home or another location such as your office or a hotel. Ride options such as sedans, vans and SUVs are available with specific pricing noted so you can see exactly what you'll pay. The most cost-efficient way to shuttle to Newark airport is the shared-ride option. Because you're sharing the shuttle van with other travelers headed to the airport, costs are reduced. It's rare to find a JFK parking coupon for on-site lots. However, there are times when you can find great deals through Groupon at specific independent airport lots. It's important to keep in mind these deals tend to fluctuate and there may not be a coupon available for the dates you're traveling. But it's quick and easy to check. 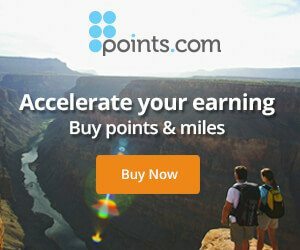 This link will take you directly to the current JFK Airport Parking Groupon coupon deals. Sometimes you may also see Groupon deals for nearby parking facilities in Newark or Brooklyn, which could also be good options for you depending on where you live and your ability to get a cab or shuttle to the terminals. It's worth a quick look to see what's active before you book with another parking lot. Bonus tip: While you're at Groupon, check for deals at the city you're traveling to, as well. You can frequently find deals for up to 50% off at popular restaurants, for shows, concerts, spas and other fun things to do on your trip. One of the more creative ways to save on JFK airport parking is to secure two one-way car rentals. This method can work particularly well for two types of travelers – 1) those who live far from the airport and 2) those who will be gone a long time. Here is what you do: Rent a car in your hometown on the day of your flight and drive it to JFK. 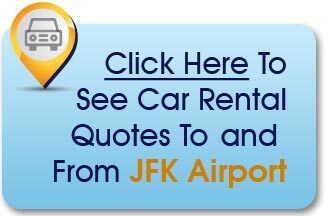 Drop it back off at the car rental agency at JFK before your flight departure. Reverse the process when you return and you have eliminated airport parking all together. The key to this method is finding an inexpensive car rental so you’ll want to compare prices. 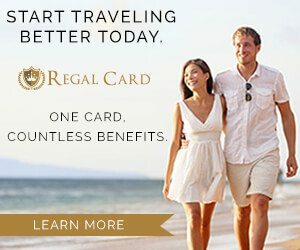 We like using RentalCars.com for JFK rentals for a number of reasons. First, they’re part of the Priceline Group so they are able to negotiate low rates with all the big players in the car rental business (like Hertz, Avis and Enterprise). You can also make a reservation in advance without having to provide a credit card. Run a search for rental car companies that service your hometown and JFK and see how the numbers stack up. Again, if you’re going to be gone a few weeks or you live several hours from the airport, it just may be your cheapest alternative. And you’ll enjoy peace of mind knowing your car is safe and sound at home! This is usually the last option that budget-conscious travelers choose because it is definitely going to be the most expensive. The JFK airport parking rates are fairly high, considering the cheapest option is located four miles from the terminals, and you will still need to take a shuttle anyway. The first day you are gone will cost you $18, then $6 for every eight hour interval after that in the Long-Term economy JFK parking lot. This is $126 for a week, which many consider quite expensive, when you can book an offsite lot that is even closer for a range of $9-15 per day. Other on-site parking amenities at JFK: Kiss and Fly, Cell Phone Lot, 5 electric vehicle charging stations in JFK's Yellow lot, and free emergency auto services by using the yellow HELP phones available in all parking lots. Live within a few hours of NYC? If you have access to mass transit around NYC, (subways, buses or even the Long Island Rail Road), AirTrain JFK is also an easy way to get to/from the Kennedy International Airport and eliminate the hassle of parking altogether. It's fairly low-cost, it makes frequent stops all around the airport and you never have to worry about traffic or parking at all. Find out more about AirTrain schedules and pricing on their official page. New York City's JFK airport is very large and the high amount of traffic in the area ensures there are plenty of JFK parking options available. However, be sure to explore these options days or weeks before you actually have to leave so you can reduce your costs and stress level on the actual travel day. Where is JFK airport located? The JFK airport address is Keahole Airport Rd, New York, NY 11430. How can I call the JFK airport? The JFK airport phone number is (718) 244-4444. What is the New York Kennedy airport code? Where's the best place to park at JFK on the airport grounds? 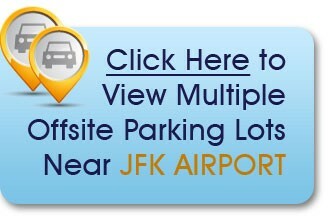 JFK airport has a number of parking lots on-site with prices varying depending on distance away from the terminals. There is no advanced reservation option in the long-term economy lot. However, you can reserve a space in advance (for an additional premium) in JFK's short term/daily lots. These spaces are limited. How much is long-term parking at JFK airport? See current JFK parking rates for short term and extended stay parking at the official site for JFK International Airport. Where can I find JFK parking coupons? 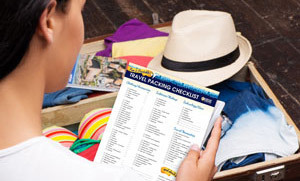 Check out our Top Travel Deals page for current coupons for JFK off site lots and JFK hotels with free airport parking packages, as well as deals on other travel needs like airfare, rental cars & more. Can I look at the parking status at JFK airport? Should you decide to attempt to park in the on-site economy lot, it's essential to check out the JFK airport parking status in advance, which can be done using the Parking Availability button you'll find at the top of this page. If you discover the economy parking lots are getting close to capacity or full, it's probably not too late to book a reservation at a private off-site JFK lot. It's quick and simple! Plus, you'll have a guaranteed spot close by (no driving around searching – stressful!) and a hassle-free shuttle ride right to your airport terminal. You'll almost certainly save a bit of money, too. Don't forget to apply code HELPER5 at checkout to save an additional $5! Does JFK have valet parking and should I use it? Traditional “valet” parking right at the JFK drop off lanes is not an option. However, you will find a variety of valet services available from nearby private off-site facilities. Some companies will take you to the airport in your car to drop you off at your terminal and then park your car in their monitored off-site lot for the duration of your trip. At other lots, the attendant can meet you at the airport terminal and then take your car directly into the off-site lot. Check the details of the offsite parking lots mentioned above. How big is JFK airport? Operated by the Port Authority of New York and New Jersey, JFK has six terminals and more than 125 gates. The runways total more than 9 miles. The airport covers 4,930 acres. Where can I find a JFK airport map? 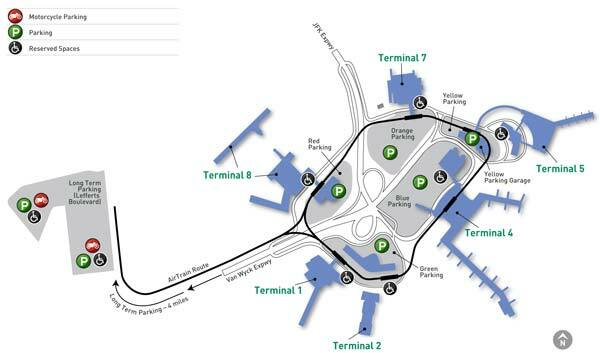 Click for a direct link to the JFK airport map, also referred to as the JFK terminal map. 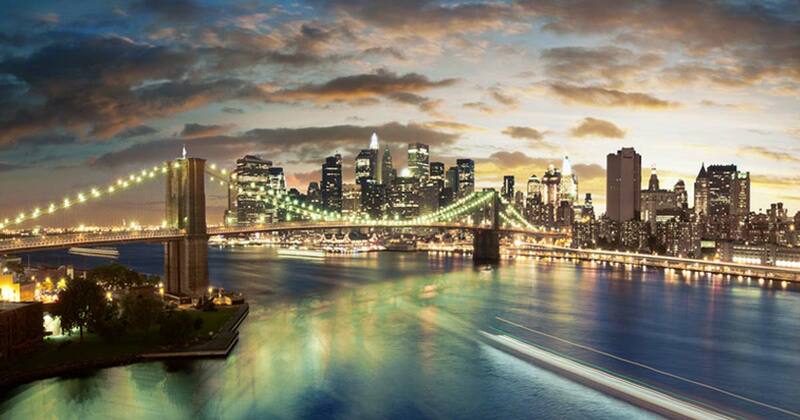 What's the best way to get to JFK International Airport? To find the least complicated route to JFK, it's a good idea to map it prior to leaving for the airport. Try switching to different modes of transportation to various route options also. Get directions to JFK airport. What are the airport lounges like at JFK? JFK has more than 30 airport lounges where you can step out of the commotion of the terminal and into a quiet sanctuary. Some are quite reasonable considering the complimentary food, beverages (including beer, wine and liquor) that are usually included. Check out LoungeBuddy for JFK choices and booking just a one-day pass (as opposed to signing up for an airline credit card or membership), even on the day of your flight. Not surprisingly, John F. Kennedy Airport parking can be steep and a few weeks out of town could result in a very high parking bill. But if you are looking for discount parking at JFK airport, it definitely pays off to consider some alternative options if you need extended parking, or possibly even for just a short term parking for a few days. If you are having trouble choosing which of these money-saving alternatives is better for you, check out our in depth Airport Parking 101 posts. These helpful articles break down the key benefits of each airport parking option in an easy-to-understand format.